It’s rare that there’s such a thing as ‘left-over’ cheese in our house; it usually denotes that the cheese was a bit ropey in some way, or sometimes it happens with a particularly potent washed rind that no-one else will eat but me and I fail to conquer in time. In the case of this Lanark Blue, I just happened to have bought a whopper of a chunk and I thought that, rather than just scoff it all down in handfuls (which I was doing quite a good job of), I’d see if I could cook something with it to complement its striking flavour. 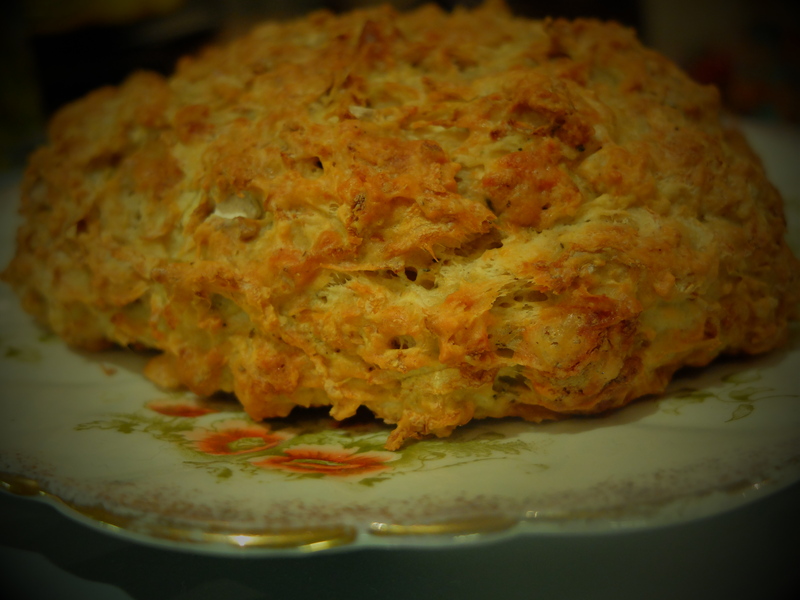 and a recipe by Abel and Cole that used it in soda bread, my plan began to come together. 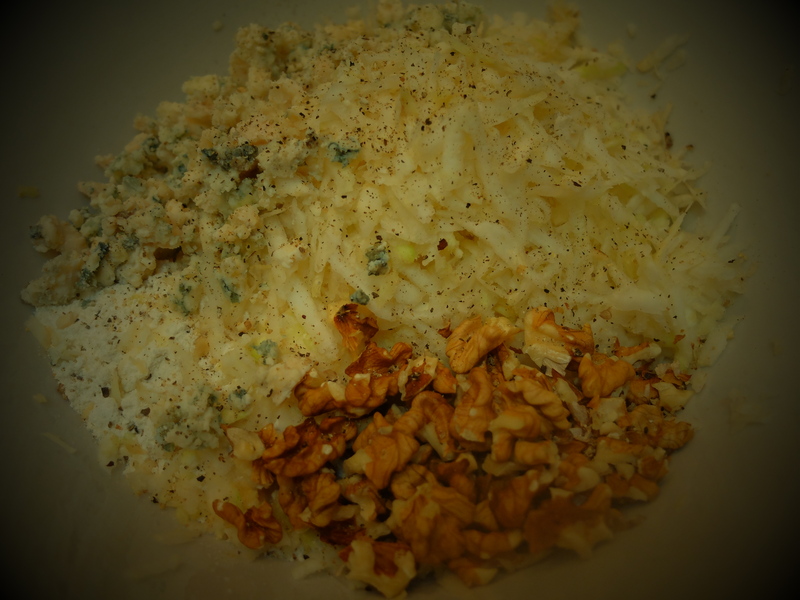 I fiddled with their recipe slightly, adding the walnuts, changing the cheese and throwing some salt in and I have to say the result was great; the sharpness of the cheese was a classic combination with the crunchy walnuts and the celeriac gave it a great texture, as well as complementing the flavours. And as it was cooking and the smell of melting blue cheese filled the kitchen, I felt the urge to go and get some watercress, which topped it off perfectly. Preheat the oven to 180˚C / 160˚C fan assisted / Gas Mark 4. Mix the flour, celeriac, cheese, walnuts and salt and pepper together gently. Whisk the milk and egg together and pour it into the flour mix. Gently fold through until it all comes together to form a dough that is very gloopy but just about managing to hold it together. 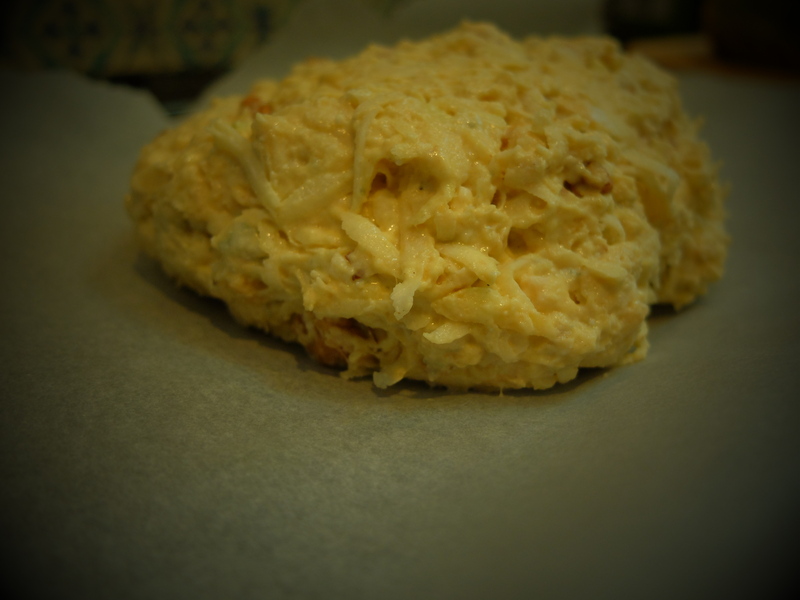 Put it onto an oiled baking tray or a sheet of greaseproof paper. Bake for 40 minutes or until the bread is golden and sounds hollow when tapped. Serve warm or cold, with soup or with lashings of salty butter and watercress. 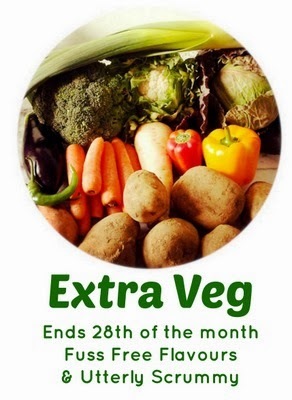 Because this bread recipe has the rather unusual addition of celeriac, I’m adding it to this month’s Extra Veg Challenge, hosted by Fuss Free Flavours and Utterly Scrummy. Wow, that looks absolutely gorgeous – all my favourite flavours. Sending Him Outdoors to dig up a celeriac immediately. Your garden sounds fabulous – can we have pictures? Preferably with the kitten too 😉 My parent used to grow loads and the in-laws still do – so nice to go and get your tea from outside the back door. This is so original! 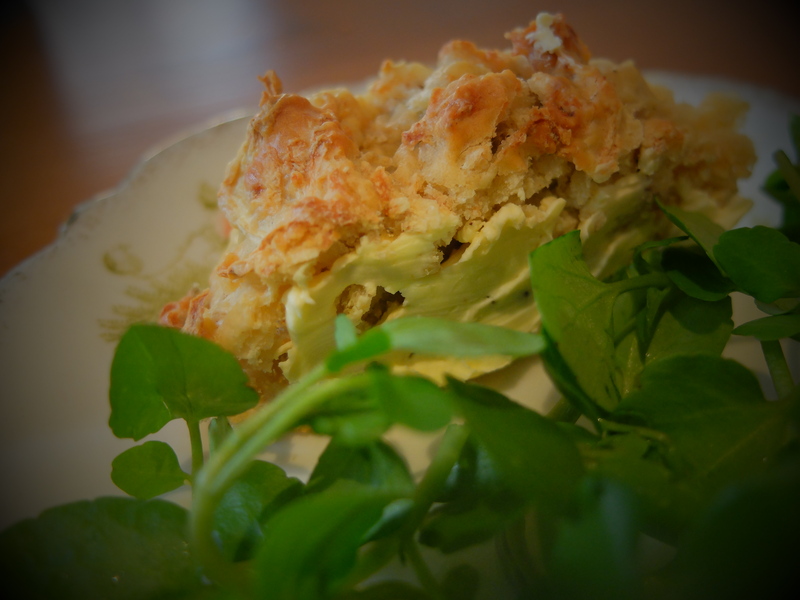 Never heard of celeriac in soda bread before and that you added blue cheese is brilliant! Lovely photos too! 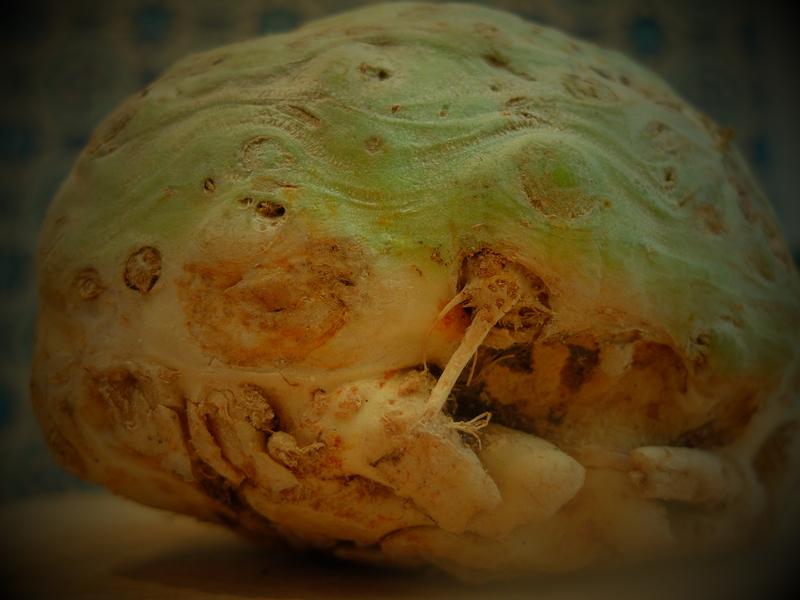 I use celeriac a lot, but never baked with it. Sounds very interesting! The taste is subtle but it gives it an interesting, slightly rough texture. I love the idea of the celeriac in the bread as well, did the flavour come through well? It was mainly the flavour of the cheese! But if you used a different cheese or left it out, it would probably come through more.